Are you searching for a Colorado Commercial Truck Insurance Quote? Don’t get 1 quote, get 3! To get the best price on your semi truck insurance you need to get multiple quotes. 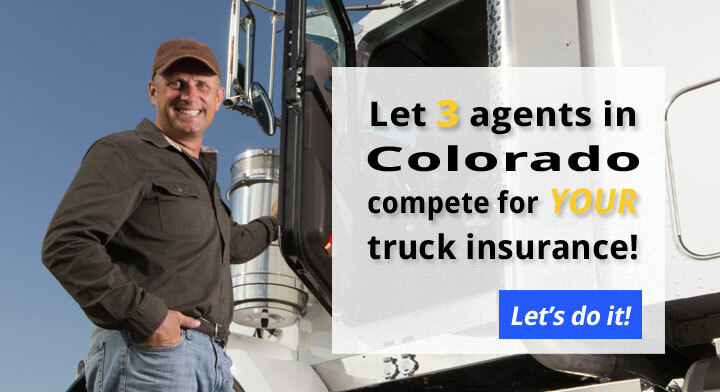 Let us help by bringing you three Colorado Truck Insurance Agents that will compete for your business. Fill out one short online form and you’ll get three competitive quotes from three top agents in CO. Easy! We’ve done the hard work for you and located three of the best truck insurance agents in CO. The agents, like alpha-rams, will lock horns in their battle to write your policy, but only one will emerge the winner. With three agents quoting your policy you will have much broader access to the whole market of truck insurance companies. 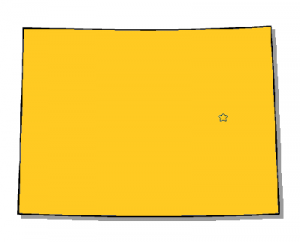 Colorado and the FMCSA have specific insurance requirements for semis. Some coverages are mandatory, like primary liability. Others, such as physical damage truck insurance and bobtail coverage, are just smart to have. The insurance requirements for truck drivers who cross state lines are more thorough. You must meet the above, and you must meet all the DOT truck insurance requirements recommended by the FMCSA. Typical federal liability limits are $750,000 or $1,000,000. What a place to work and live! From hauling through the Rockies, part of the Great Plains, or just enjoying the hot springs, life never gets old here. If you haven’t compared different truck polices lately, however, your insurance could be old. And by old, we mean out of date and expensive! 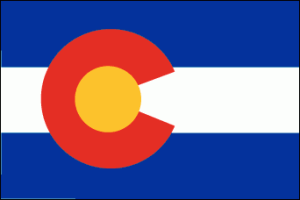 That’s why we are happy to announce a new way for truckers based in CO to shop for a new policy. Our service is fast and free, and there is never an obligation.